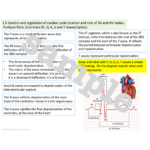 This contains 60 slides to help students to grasp the theory required in this unit. It comes with a student booklet, which has all of the video links so that students can revisit sections they are unsure about. It is an editable resources. This resource includes individual, paired and group work. It contains all of the relevant material outlined in the specification. There are comments added to the bottom of some slides to offer more support or ideas. The slides are animated on word and so the correct sections will appear in the correct order. If you are using google docs or a mac you may find that there are slight differences in the layout and boxes may need to be adjusted. Please note whilst we try to ensure there are no spelling mistakes, sometimes these can be missed. Do check the slides you are using before your lesson.